The aging population is growing. Therefore, it is important to examine the impact of lifestyle factors on the aging process. This systematic review and meta-analysis investigates the association of alcohol consumption (and smoking) with healthy ageing. Compared to non-drinkers, drinkers had a slightly higher chance to age healthily. However, results should be interpreted with caution. The study is published in the scientific journal BMJ Open. What is already known? The role of alcohol in healthy ageing is unclear. 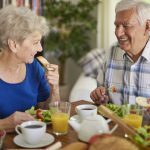 As the older population is becoming larger, it is important to understand what factors will enable people to live longer and age in a healthy way. What does this study add? This systematic review and meta-analysis investigates the association between alcohol (and smoking) and healthy ageing. Only longitudinal observational studies are taken into account. Therefore, confounding factors cannot be ruled out. The overall population is becoming older. With increasing age, several physical and mental changes take place. First of all, aging has an effect on physical performance. Mobility can be reduced, and persons can experience difficulties in daily activities. In addition, with increasing age there is a higher chance of developing several chronic diseases and cancer. Lastly, aging affects mental health and cognitive status1. The role of alcohol in healthy ageing is unclear. On the one hand, older persons are more sensitive to alcohol, as tolerance decreases. This means that even a low amount of alcohol could create problems in an older person2. On the other hand, a moderate consumption of alcohol has been shown to decrease the risk of dementia3, cardiovascular disease mortality4and type 2 diabetes5. A total of 9 studies was included into the meta-analysis. Drinkers had a higher chance to age healthily compared to non-drinkers. When separating the drinkers into different groups based on the amount of consumption, similar results were found. Persons consuming less than one drink or consuming 2 to 4 drinks per day, had a higher chance to age healthily compared to non-drinkers. Interestingly, there was no difference between persons drinking 1-2 drinks per day and non-drinkers on healthy aging. The researchers emphasize that the found differences are small. In addition, both alcohol consumption and healthy ageing were not measured in a similar way in the included studies. Therefore, the found results should be interpreted with caution and more research is needed. The meta-analysis included a total of 18 studies on the association between smoking and healthy ageing. In comparison with alcohol, the association between smoking and healthy ageing was more distinct. Never smokers had a (more than) two times higher chance of ageing healthily compared with current smokers. Differences in definition and measurement of healthy ageing. The definition for non-drinker varied in the studies used for this meta-analysis. 1. Daskalopoulou, C., Stubbs, B., Kralj, C., Koukounari, A., Prince, M., & Prina, A. M. (2018). Associations of smoking and alcohol consumption with healthy ageing: a systematic review and meta-analysis of longitudinal studies. BMJ open, 8(4), e019540. 2. US Department of Health and Human Services. (1998). Substance abuse among older adults: Treatment improvement protocol (TIP) Series, 26. DHHS Publication No. (SMA), 98-3179. 3. Mukamal, K. J., Kuller, L. H., Fitzpatrick, A. L., Longstreth Jr, W. T., Mittleman, M. A., & Siscovick, D. S. (2003). Prospective study of alcohol consumption and risk of dementia in older adults. Jama, 289(11), 1405-1413. 4. Ronksley, P. E., Brien, S. E., Turner, B. J., Mukamal, K. J., & Ghali, W. A. (2011). Association of alcohol consumption with selected cardiovascular disease outcomes: a systematic review and meta-analysis. Bmj, 342, d671. 5. Koppes, L. L., Dekker, J. M., Hendriks, H. F., Bouter, L. M., & Heine, R. J. (2005). Moderate alcohol consumption lowers the risk of type 2 diabetes: a meta-analysis of prospective observational studies. Diabetes care, 28(3), 719-725.